On his way to China in November,2009, President Barack Obama had made his first halt in Japan to underline the importance attached by him to the USA’s relations with Japan, with which it has a security relationship. There were detailed references to China in his speeches and comments in Tokyo. In one of his speeches, he said: “The United States does not seek to contain China, nor does a deeper relationship with China mean a weakening of our bilateral alliances. On the contrary, the rise of a strong, prosperous China can be a source of strength for the community of nations. And so in Beijing and beyond, we will work to deepen our Strategic and Economic Dialogue, and improve communication between our militaries. He also said that the US regards China as “a huge, expanding market, where Americans can sell goods and services”, and treats China’s prosperity and security as “a positive”. As compared to his readiness to speak openly and in detail about China at Tokyo last year and at Jakarta now, he was economical in his references to China during his stay in India. 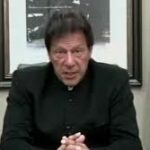 However, in his address to the Indian Parliament on November 8, he spoke of his policy of deepening co-operation with India and China in two different contexts. “¦ according to him, just as China has a useful role to play in South Asia as stated in his Joint Statement with Hu, India has a useful role to play in South-East and East Asia. 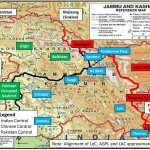 It is evident that the US will not like to get involved in matters relating to the Sino-Indian border dispute. 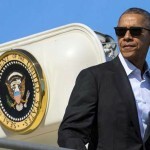 In the weeks preceding Obama’s visit to India, there was an attempt by the Obama Administration to remove the impression in the Indian mind that his administration was giving greater priority to China and was encouraging a strategic role for China in South Asia in the context of Afghanistan and Indo-Pakistani relations. The policy of co-operating effectively with both India and China was also underlined by Obama’s White House aides in their interactions with the media before his visit. This policy of equality of strategic relationship with both India and China without favouring one to the detriment of the other is reflected in the references to India’s engagement with the East in Obama’s address to the Indian Parliament and in the following formulation in the Joint Statement issued by him and Manmohan Singh: “The two leaders have a shared vision for peace, stability and prosperity in Asia, the Indian Ocean region and the Pacific region and committed to work together, and with others in the region, for the evolution of an open, balanced and inclusive architecture in the region. In this context, the leaders reaffirmed their support for the East Asia Summit and committed to regular consultations in this regard.